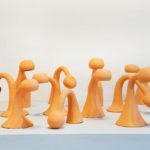 The Spanish curators and artists reflect on the usefulness of the combination of magic and theory and the spells we must craft to endure a schizophrenic reality. Los curadores y artistas españoles reflexionan sobre la utilidad de la combinación de la magia y teoría y sobre los conjuros que debemos formular para soportar una realidad esquizofrénica. Dibujo “Dedos cruzados”, 2016, de la exposición Història política de les flors 3: Azucenas Tigradas de Jeleton, en Halfhouse, Barcelona. Cortesía de Jeleton y Halfhouse. Juan Canela: Now that 2016 —with all its frightening developments— is almost finished, I don’t think there’s any need to pore over the current situation to agree that the world is not experiencing its finest moment. What do you think? How do you see the general situation and what lies ahead? Aimar Arriola: Analyses on the “macro” level are abstractions I have no idea how to inhabit. At the University of London, where I’m currently studying and researching, I’ve spent a year attending conferences and debates on “global” matters that I know affect me, but they’re not getting to me in terms of how they’re being posited: “big data,” accelerationism, “the end of the world as we know it” (that was the title of the last talk I attended). Bigger, stronger, faster…like a documentary [of the same title] on culturism and anabolics I saw not long ago. I don’t know how to read the big stuff, I can only read the small things. For example, in this research and archive-production project on the politics of AIDS that I’ve been working on for a few years with my colleagues Nancy and Linda, we say we’re approaching AIDS from “a place where we can read the limits of experience in the present,” which sounds really pompous (and is a statement we’ve got to change right away). But then, in my case, this translates into paying attention to things like why in the AIDS archive there are so many images related to touch or so many representations of birds and ladybugs [words that can have homosexual associations in Spanish]. If for example we’re going to talk about economics, what I want to know is which texts Jesús is reading in the classes he’s currently teaching on feminist economy. Or ask Gelen what you do for a living after writing a thesis past forty, which is where I’m at, too. JC: I’m in complete agreement with your stepping away from the “macro,” Aimar. Lately I’ve been thinking a lot about how to pay attention to what’s right in front of me. I want to focus on what we don’t see, what we don’t understand, the dark stuff. In how essential it is to accept the impossibility of knowing it all. Allowing for the possibility of not seeing with our eyes, leaving room for the unpredictable, the unknown, the unexpected. I want to face my most absolute doubts with affection and devotion. “Without light and without eyes one has other ways to (fore)see,” wrote Hélène Cixous. Jesús Arpal Moya These days I’m reading Amaia Pérez Orozco’s Subversión feminista de la economía (2014) published by Traficantes de Sueños. 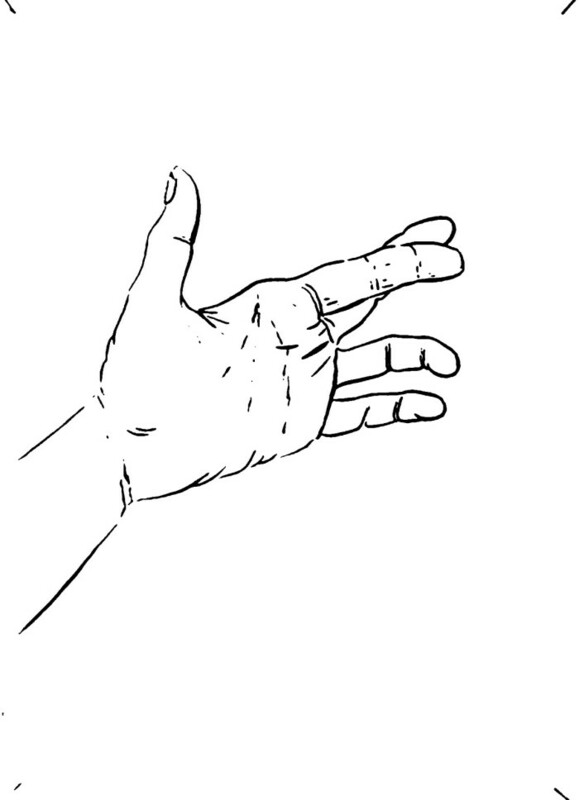 Right now I’m sitting at the counter at my bookstore, La Caníbal, in Barcelona, surrounded by babies doing a sign language workshop, trying to stay focused as I overhear the wealth of sounds they put out. Christmas is around the corner and the phone will ring and ring, because even in a radical bookstore Christmas rules consumption. I think there are words for confronting financialization of the economy, “double death,” “necropolitics” (as per Mbembe), “gore capitalism” (see Valencia) and “fascism.” Maybe we’re coming up a little short when it comes to practices and spells to face down the dangers the editors mentioned. I remember when a trans, racialized author asked me for help distributing an urgent political tract in the independent European press, but they [i.e., the tract’s author, using non-gendered pronouns] needed some kind of compensation to get by. I reached out to a number of people and the big response was, “if the media commissions it, they’ll give the author a euro or two, but if they present it on their own, the media takes that to mean they don’t have to pay.” A spell like that, that gets repeated every day in quotidian situations, strikes me as very harmful and powerful because it manages to cut across everything, underneath the authors we’re citing, the governments of which we may be subjects. So let’s start learning some good little spells and in the quick-time. AA: I’m writing this in pencil from an international airport, on my way to Bilbao. It’s five in the morning. I ran out of data soon after I got here, so I’m spending the time looking at people and thinking of what Jesús said about the spells that surround us, the ones that get so repeated that they end up creating a reality. I’m not aware of the exact formula of the spells that are active in this airport but their effects are apparent. One is that almost all the bodies marked as feminine have their legs crossed and everyone else no. The former are listening and the latter are speaking. Another effect is that most of the people that are cleaning and picking up are non-white; unlike the people who are buying things, who are white indeed. A third effect is that no matter how much I stare at people, they don’t look at me. They’re looking at their mobile screens. Sitting around here and there, I see three boys I’d like to stand up and kiss. But there’s another spell that keeps me from doing it. Dibujo del quinto sello, de Jeleton para la publicación La línea sin fin (2013-2014) proyecto editorial por Andrea Valdés y David Bestué, Barcelona. Cortesía de Jeleton. JC: Just the other day at Donosti we were with Gelen, at a conversation between Amaia Pérez Orozco and Silvia Federici in the context of Feministaldia . There was a lot to think about and discuss. Amaia spoke of the importance of several Latin American female colleagues’ struggles and how they developed an economy rooted in the body-earth space. And someone asked why those female colleagues from Latin America were not on the panel. You’re right, Jesús, we need to learn those incantations and fast. How do we learn them, how do we practice them and what do we want to achieve with them? 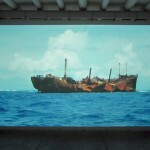 In the project we’re starting to collaborate on, for Tabakalera in Donosti . I’m asking myself these questions… Can I curate through magic? Gelen Alcántara Sánchez: I think of self-defensive spells as antidotes to the ones that get implanted, time and again, that guide you and sometimes lead you to get into the game in every life situation, like asking for more because you know they’re going to cut your budget, or when they lie about the deadline without telling you so you’ll deliver on time. I’m through with conventions, values, things that are obvious. don’t want to see what’s in front of me because I long to reach the interior. I do not want to read more than what I’ve written. I do not understand more than is already known. And to answer the question of what you do to make a living after writing a thesis when you’re 40-something —Oh, jeez! Alternative, parasite and queer CVs since we don’t fit in with the official. Foto con los libros Equipo Jeleton. 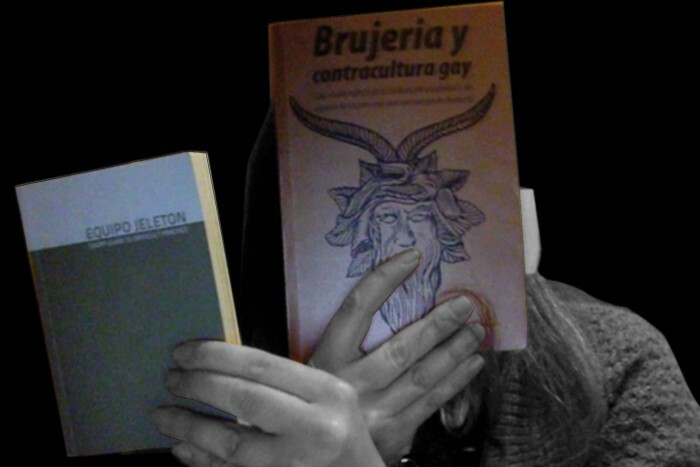 Short Guide To Difficult Practice (2012) y Brujería y contracultura gay (1978). Tomada a ruego de Aimar Arriola. Cortesía de Gelen Jeleton, Murcia, 2016. AA: A couple of days ago I revisited Arthur Evans’s Witchcraft and the Gay Counterculture (1978). One of the prologues [in the Spanish edition] is by Brigitte Vasallo, which I liked, and it’s been a reminder that I don’t read her enough and I need to read more. I’m left with how powerful the word chusma (i.e., “rabble, riffraff”) is and Vasallo’s invitation to enact a “decolonial history of magic,” to reclaim magic, the magic that informed our aunts’ and grandmothers’ ancient knowledge. And I’m mortified because I can barely remember the spells (esaera-zaharrak) my amama María used to tell me. Another prologue is the introduction to the clandestine edition Feral Death Coven did in 2013, that interests me because they compare the book to Federici’s Caliban and the Witch (2004), and they appreciate and critique things in both. But I feel like I can’t really offer an opinion on Federici as I confess I haven’t read her book yet. Another person who went to Donosti to see Federici was my Aunt J, without really knowing who Federici was. I don’t know what she thought but I’m going to ask her. This Christmas she’s been cleaning at my maternal grandfather’s house, going one-by-one through every book or magazine she wanted or needed to let go of, looking at them, touching them, and thinking who they might be good for. Rumpite libros  and affective redistribution, I think that’s feminist economy as well. And connected to the idea of difficulty that’s brought us all here, Jesús and Gelen, what was the title of that little volume that collected the work you two edited in Berlin a few years ago? Wasn’t it something like Manual de una práctica difícil? There have got to be counter-spells there we can use. JC: I think it’s essential to remember and reclaim those spells our grandmothers had. And related to a few things Gelen was saying —working from the dark, from the margins, from what’s forgotten. Aimar, thinking about your aunt, touching the magazines, it seems to me there’s something about working from the surface that you’re ultimately proposing and that may have to do with all these issues… Can you tell us a bit about how you frame that? 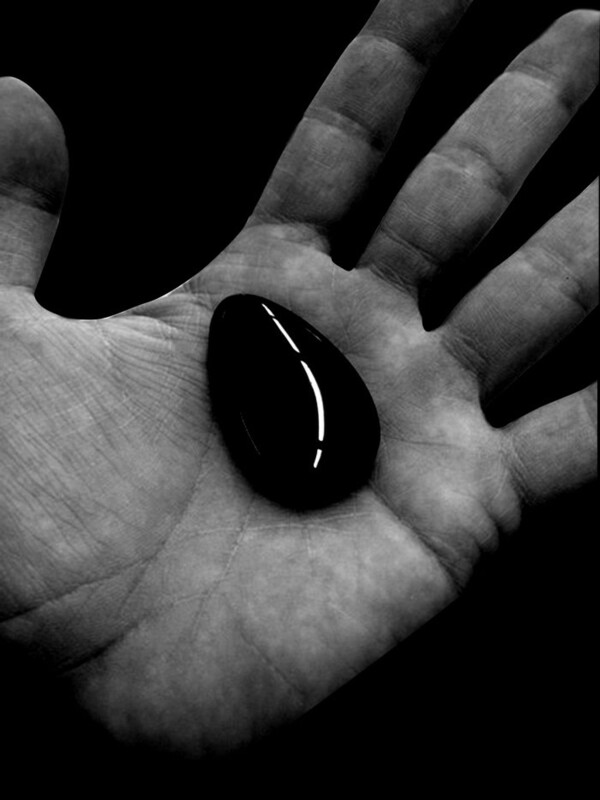 Foto de piedra de obsidiana en mano que viaja en bolsillo y duerme bajo almohada. Cortesía de Juan Canela, Barcelona, 2016. JAM: I finished Amaia Pérez Orozco’s book. It has spells like writing the word production always crossed out. Now I’m reading Miren Etxezarreta’s ¿Para qué sirve (realmente) la economía? (2015). Our little book is called Equipo Jeleton: short guide to Difficult Practice (2012). I open to a page at random and there’s the poster from the Decora-Chan! 7 action. It was a tee-shirt party; there’s a picture of it. I’m not sure what that’s supposed to be saying to me. Today is January 1st and I’m in bed writing, with a glass of wine that fortifies me for the task. It’s not easy for me when I’m spending eleven hours a day at the social economy fair. Today is my day off this week. In the living room, I’m listening to D. and M. who are cuddling and giggling. I’m happy because a while ago we and H. were speaking about how to face the risk of being arrested and fined (but surely not deported, because of certain privileges) this year, until a lawyer can resolve their visa issues —we weren’t laughing then. Regarding the issues you bring up, Juan, they’re tough —I’m not sure. So I’m going to consult two tarot decks I have here in bed: the Sforza Family tarot and the Barcelona “present-soon-to-come” tarot. I wish I could add the Invasorix, but I don’t have it. king of batons, upside-down: meaningless gestures, eluding strength, chasing old age. “Kill the King” is a children’s game. Can I use magic to curate? I can’t see curators doing anything through magic, at most maybe magic could move through curating to bring on changes in the world. “The Lovers” (the card shows someone at the precise moment of smashing a piñata). A clue: now I know what the Decora-Chan! 7 image was trying to tell me. There was a piñata at that party in the form of a seven. In the Catholic tradition, it’s the cardinal sins; in others, it’s the magic number. AA: I’ve had my tarot read two times in my life. Last time N. read the cards in Barcelona, a month and a half ago. The tarot N. uses is the Motherpeace deck, that I wasn’t aware of. They’re these really cute, round cards plus illustrations you wouldn’t believe. The California healer and writer Vicki Noble and the artist Karen Vogel came up with them in the 1970s. To develop them, they researched folklore, art, healing and the spiritual life of ancient civilizations from a feminist perspective. In the Motherpeace tarot, 7 symbolizes inner contemplation. The Motherpeace tarot and Evans’s Witchcraft and the Gay Counterculture are strictly contemporary, and are after the same thing: reclaiming positive, pacifist values from pre-patriarchal times. In fact, last night I realized that Jeleton’s Short Guide and Witchcraft and the Gay Counterculture share something: both of their “surfaces” make reference to a planetary metal. Witchcraft’s cover is copper-colored; Jeleton’s is gold. I don’t know much about alchemy but Gelen and Jesús know a ton. On the other hand, I have thought a lot about surfaces this year. What can we understand from superficial practices? I ask myself that question because of the discomfort the words we habitually use to speak of research —dig deeper, penetrate, unearth, drill down— bring on in me. These are words that drag centuries of violence and oppression along with them. The surface is also the umbrella concept under which other issues that interest me reside: the animal question, touch, the garden. For example, Western man has thought of animals and plants as surface bodies, lacking interiority in comparison to the human, who has a soul. For colonizers, racialized bodies also lacked interiors. The depth-surface divide is the central argument that justified, historically, that some people oppressed others. The other day when this straight dude told me not to be superficial, what was he really saying to me? Motherpeace and Witchcraft traffic in a different relationship when it comes to surfaces. For instance, in ancient healing practices, surfaces were important. For the Bribri indigenous people, the surfaces of shamanistic objects were a fundamental part of their symbolic value. Healing started on a surface level. I learned that this summer in Costa Rica when I visited the state collections of pre-Columbian gold —collections also assembled based on violence. Dibujo del sexto sello, de Jeleton para la publicación La línea sin fin (2013-2014). Proyecto editorial por Andrea Valdés y David Bestué, Barcelona. Cortesía de Jeleton. GAS: That reminds me of contact —being touched, wanting to touch someone and how hard that can be at times. Touch as a way of curing, of healing. Not long ago I saw the movies Selena (1997) and Gilda, no me arrepiento de este amor (2016), about two cumbia performers who were venerated as saints. In Gilda, there’s a scene where a woman who was at a concert asks the performer to touch her head, to heal her, since according to that woman Gilda cured her daughter through her music. These touching practices have been associated with the popular, the vulgar and the genteel; when they’re miracles, it comes from Rome, the Pope decides. And you don’t ask a lot of questions, for instance, with doctors and white-coated pharmacists (“don’t ask so many questions,” my mother kept saying to me the last time I went with her to the doctor). It would seem that everything goes through the state-institution required for survival. Aimar mentioned the book Witchcraft and I think it’s no coincidence that I carried it in my bag while I was at Feministaldia and that I showed Jeleton’s drawing of “finocchio,” that’s in her book where she mentions Evans, to Federici . And that I showed it to Juan before going into the talk. 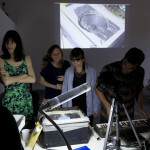 And that Jesús passed it on to me after I gave him Sociología de la imagen (2015), by Silvia Rivera Cusicanqui (whom I’m going to mention here by way of invocation, wishing she were at the panel and hoping she’ll be there next year). And it’s no coincidence that I also have Jeleton’s Difficult Practice with me now, so we can take pictures of them both —but with no flash, as they’re shiny. Regarding readings, you’ve got to read Federici more —or was it Marx? (it’s a joke). “You’ve got to read Marx more” is what a friend said to me after Federici and Amaia Pérez Orozco’s conversation. “I have read Marx,” I told him. “What, like all three volumes?” he replied. Ok, I haven’t read all of Federici, or Marx, but I have drawn them. I’ve only got Amaia to go. There are lots of way to speak and lots of ways to shut people up, casting aspersion on ways of reading or writing. Even not wanting to speak is often speaking —said [seventeenth-century Mexican poet] Sor Juana Inés de la Cruz, who, by the way, was a marvelous character who would fit perfectly into Evans’s Joan of Arc chapter in Witchcraft. Let’s think about what we want to say. By chance do we want to repeat the great stories, from the great books, verbatim? What Gloria Anzaldúa calls the mythopoeisis —better said, self-history, or what Audre Lorde called biomythography— is a resistance strategy. 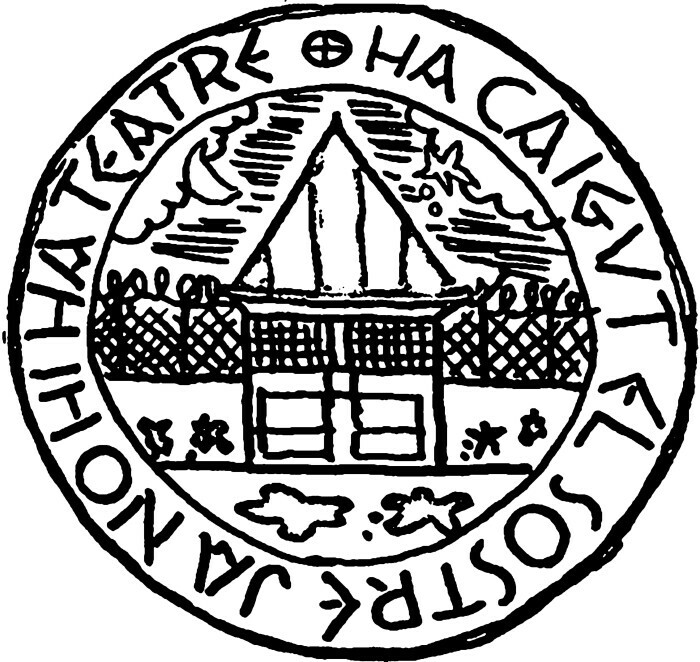 Let’s cast spells that do not erase memory, that speak not of a single knowledge and that in their disorder are written in sundry languages, time and again. To return to the problematic of the bad times we’re living through, this sorcery becomes a kind of embodiment of the theory for deciding what we need to hear. JAM: Today is Epiphany, the Feast of the Magi. The remains of Idrissa Diallo have been located in an unmarked niche in a Barcelona cemetery; Diallo died in a migrant detention center on the night of Epiphany back in 2012. Dibujo Finocchio (2015) de la exposición “Historia política de las flores: Floripondio” de Jeleton, en La Taller, Bilbao. Este dibujo está con Susana Talayero. Cortesía de Jeleton. Closing note: this conversation was created in writing based on a Piratepad collaborative document and was edited on an ODT text file between December 2016 and January 2017, from Barcelona, London, Markina and Murcia. 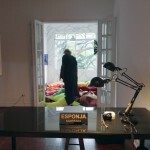 The project entitled Anarchivo sida [AIDS Anarchive], was initiated in 2012-2013 and presented as an exhibi- tion in Spring 2016 at Tabakalera-International Center for Contemporary Culture, Donostia-San Sebastián. e exhibition is scheduled to travel to Madrid, from May to October 2017.
the Anthropocene age” and takes the form of a collective exhibition in which Jeleton will participate (Autumn 2017). Rumpite Libros (2007) was a project by Jeleton involving getting rid of their books. e title makes reference to the phrase rumpite libros, ne corda vestra rumpantur (“break books lest they break your heart”). Aimar Arriola got to know Jeleton’s work on this project. 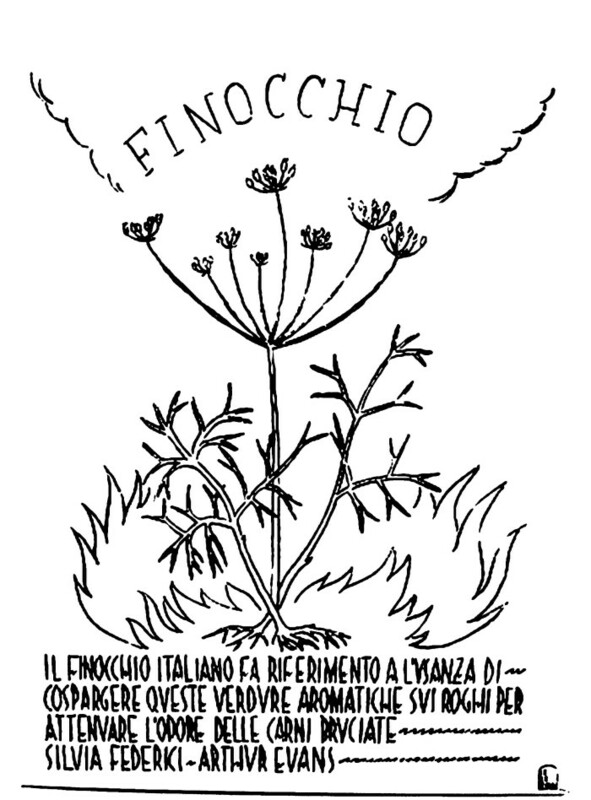 Finocchio, i.e., “fennel” in Italian, is an insult in that language used to refer to homosexual men, faggots, cocksuckers, fairies; and was an illustration by Jeleton in their project Historia política de las ores that in turn cited work by Federici and Evans. 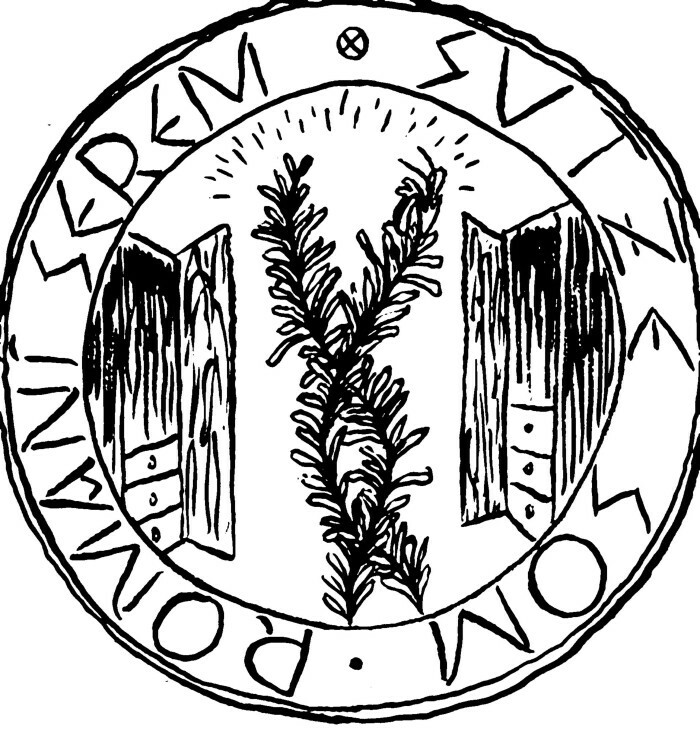 In Caliban and the Witch, Federici mentions how when witches and homosexuals, faggots, cocksuckers and fairies were burned, fennel was used as an aromatic herb to mask the stench of burning esh (p. 271). Juan Canela: Ahora que casi acaba este 2016 que tantos sobresaltos ha traído, creo que no hace falta desplegar demasiado la situación actual para ponernos de acuerdo en que el mundo no está en su mejor momento. ¿Qué pensáis, cómo veis la situación general y próxima? Aimar Arriola: Los análisis macro son abstracciones que no sé habitar. En la universidad en Londres donde actualmente estudio e investigo, llevo un año asistiendo a conferencias y debates sobre cuestiones ‘globales’ que sé que me afectan pero que en los términos que se plantean no me penetran: big data, aceleracionismo, ‘el fin del mundo tal y como lo conocemos’ (la última charla a la que asistí tenía ese título); más grande, más fuerte, más rápido, como un documental sobre culturismo y anabolizantes que vi hace poco (Bigger, Stronger, Faster). Yo no sé leer cosas grandes, sólo puedo leer cosas pequeñas. Por ejemplo, en un proyecto de investigación y producción de archivo sobre las políticas del SIDA en el que llevo trabajando unos años junto con mis compañeras Nancy y Linda, decimos que nos aproximamos al SIDA como “un lugar desde el cual leer los límites de la experiencia en el presente”, que verdaderamente suena grandilocuente (y que es un enunciado que nos urge cambiar) . Pero luego, en mi caso, esto se traduce en prestar atención a cosas como por qué en el archivo del SIDA hay tantas imágenes relacionadas con el tacto o tantas representaciones de pájaros y mariquitas. Si por ejemplo vamos a hablar de economía, yo lo que quiero saber es qué textos está leyendo Jesús en las clases que ahora da sobre economía feminista. O preguntarle a Gelen cómo hace una para vivir después de hacer una tesis pasados los cuarenta, que en esas estoy también yo. JC: Totalmente de acuerdo con tu alejamiento de lo macro, Aimar. Últimamente pienso mucho en cómo fijarme en lo muy próximo. Quiero fijarme en lo que no vemos, en lo que no comprendemos, en lo oscuro; en lo esencial que es aceptar la imposibilidad de saber todo. Adjudicarnos la posibilidad de no mirar con ojos, dejar espacio a lo imprevisible, a lo desconocido, a lo inesperado. Quiero enfrentar con cariño y devoción mis dudas más absolutas. “Sin luz y sin ojos se puede prever de otra manera”, escribía Hélène Cixous. Jesús Arpal Moya: Estos días leo a Amaia Pérez Orozco, Subversión feminista de la economía (2014), en Traficantes de sueños. Ahora estoy en el mostrador de mi librería, La Caníbal, en Barcelona, entre bebés que hacen un taller de lengua de signos, tratando de concentrarme escuchando la riqueza de los sonidos que emiten. Se acerca la navidad y el teléfono sonará bastante, porque incluso en una librería radical la época rige el consumo. Creo que hay palabras para enfrentar la financiarización de la economía, la doble muerte, la necropolítica (Mbembe), el capitalismo gore (Valencia) y el fascismo. Quizás andamos más escasas de prácticas o conjuros con que enfrentarnos a estos peligros señalados. Recuerdo cuando un* autor* trans y racializad* me pidió ayuda para difundir un texto político de urgencia en prensa independiente europea, pero necesitaba cualquier contribución económica para subsistir. Contacté a varias personas y la respuesta más clara fue “si se lo encarga el medio le ofrecerá unos pocos euros, si lo ofrece ell* el medio entenderá que no ha de pagar.” Un conjuro así, que se reproduce cada día en las situaciones cotidianas me parece muy dañino y poderoso porque consigue atravesarlo todo, por debajo de las autor*s que estemos citando, los gobiernos de los que seamos súbditas. Así que aprendamos buenos pequeños conjuros rápidamente. Uno es que casi todos los cuerpos marcados como femeninos tienen las piernas cruzadas y los otros no. Los primeros escuchan y los segundos hablan. Otro efecto es que la mayoría de la gente que limpia y recoge es no-blanca, a diferencia de los que compran que sí lo son. Un tercer efecto es que por mucho que mire a la gente, la gente no me mira a mí, miran la pantalla del móvil. Sentados aquí y allá veo a tres chicos a los que me gustaría levantarme y besar. Pero otro conjuro me lo impide. JC: Justo el otro día en Donosti estuvimos con Gelen en una conversación entre Amaia Pérez Orozco y Silvia Federici en el contexto del Feministaldia . Mucho para pensar y discutir. Amaia comentó la importancia de la lucha de algunas compañeras de América Latina y cómo desarrollaban una economía enraizada en el espacio cuerpo-tierra. Y alguien preguntó por qué no había entonces ninguna compañera de esas latitudes en la mesa. Sí, Jesús, necesitamos aprender esos conjuros, y pronto. ¿Cómo los aprendemos, cómo los practicamos, y qué queremos lograr con ellos? Justo en el proyecto en el que estamos empezando a colaborar para Tabakalera en Donosti  me estoy preguntando estas cuestiones… ¿puedo comisariar a través de lo mágico? Gelen Alcántara Sánchez: Pienso en conjuros de autodefensa como antídotos de esos implantados y recurrentes que te aconsejan y a veces te llevan a jugar al mus en todas las situaciones de la vida, como pedir más porque sabes que te van a rebajar el presupuesto, o cuando te adelantan sin decirte la entrega para asegurarse de que llegues a tiempo. No puedo más de convenciones, de valores, de las cosas claras. No ver lo que tengo delante porque anhelo llegar al interior. No querer leer más que lo escrito. No entender más que lo ya conocido. Y para contestar a la pregunta de cómo se hace para vivir después de hacer una tesis y estar en cuarentena… ¡Uy! Haciendo CVs alternos, parásitos y cuir, ya que en los oficiales no encajamos. AA: Hace un par de días retomé Brujería y contracultura gay (1978) de Arthur Evans. Uno de los prólogos es de Brigitte Vasallo, que me ha gustado y ha sido un recordatorio de que la leo poco y la tengo que leer más. Me quedo con la potencia de la palabra ‘chusma’ y con lo que dice sobre la necesidad de hacer ‘una historia decolonial de la magia’, de recuperar la magia, que ella equipara a los saberes ancestrales de nuestras tías y abuelas, y me muero de pena porque apenas recuerdo los conjuros (esaera-zaharrak) que me decía mi amama María. Otro de los prólogos es la introducción a la edición clandestina que hizo Feral Death Coven en 2013, que me ha interesado porque comparan el libro con Calibán y la bruja (2004) de Federici y valoran y critican cosas en ambos. Pero siento que sobre Federici no puedo opinar porque, lo confieso, su libro no lo he leído aún. La que también fue a Donosti a ver a Federici fue mi tía J, sin saber quién era ésta. No sé qué le pareció pero ya le preguntaré. Mi tía estas navidades se ha dedicado a hacer limpieza en casa de mi abuelo paterno, revisando uno a uno cada libro o revista del que quería o necesitaba desprenderse, mirándolos, tocándolos, y pensando a quién le podrían ir bien. Como decía Jeleton, Rumpite libros  y redistribución afectiva. Yo creo que esto es también economía feminista. Y conectando con la idea de dificultad que nos convoca aquí, Jesús, Gelen: ¿cómo era el título de aquel librito recopilatorio de vuestro trabajo que editasteis en Berlín hace unos años? No era algo como ‘Manual de una práctica difícil’? Seguro que allí hay contra-conjuros que nos pueden servir. JC: Creo que es esencial recordar y recuperar esos conjuros de nuestras abuelas. Y enlazando con algunas cosas que decía Gelen: trabajar desde lo oscuro, desde los márgenes, desde lo olvidado. Aimar, pensando en tu tía tocando las revistas, me parece que hay algo en el trabajar desde la superficie que estás proponiendo últimamente y que puede tener que ver con todas estas cuestiones. ¿Nos cuentas un poco cómo planteas esto? JAM: Terminé el libro de Amaia Pérez Orozco, tiene conjuros como el escribir la palabra “producción” siempre tachada. Ahora leo a Miren Etxezarreta ¿Para qué sirve (realmente) la economía? de 2015. Nuestro librito se llama Equipo Jeleton. Short Guide To Difficult Practice (2012). Abro una página al azar y aparece el cartel de la acción Decora-Chan! 7, que era una fiesta con camisetas, y una foto de la fiesta. No sé qué me querrá decir. Hoy es primero de enero y estoy en la cama escribiendo con un vaso de vino que me dé fuerzas para esta tarea, que no me es fácil mientras paso cada día 11 horas en la feria de economía social. Hoy es el día que no trabajo de esta semana. En la sala escucho a D. y M. que se hacen arrumacos y ríen. Me alegro porque hace un rato hablábamos con ell*s y H. de cómo enfrentar este año el riesgo de ser detenid*s y multad*s (seguramente no deportad*s, por ciertos privilegios) hasta que una abogada les resuelva la visa, y no nos reíamos. Sobre las preguntas que abres, Juan, son difíciles, no sé. Así que le preguntaré a dos tarots que tengo en la cama: El tarot de la familia Sforza y el tarot del presente-por-venir de Barcelona (me gustaría poder añadir el de Invasorix pero no lo tengo). Rey de bastos al revés: gestos insignificantes, eludir la fuerza, buscar la vejez. Matar al rey es un juego de niños. ¿Puedo comisariar a través de lo mágico? Una pista: Ahora sé qué me quería decir la imagen de Decora-Chan! 7: en aquella fiesta había una piñata en forma de 7, en la tradición católica son los pecados capitales, en otras es el número de la magia. AA: A mí me han echado el tarot dos veces en la vida. La última vez me lo leyó N. en Barcelona hace mes y medio. El tarot que utiliza N. es el de Madrepaz, que yo no conocía y que son unas cartas redondas preciosas con unos dibujos que ni te cuento. Lo concibieron en la década de 1970 la sanadora y escritora californiana Vicki Noble y la artista Karen Vogel. Para desarrollarlo se basaron en investigaciones sobre folclore, arte, sanación y vida espiritual en las civilizaciones antiguas desde una perspectiva feminista. En Madrepaz el 7 simboliza contemplación interior. El Madrepaz y Brujería y contracultura gay de Evans son estrictamente contemporáneas, y persiguen lo mismo: recuperar los valores positivos y pacifistas de los tiempos pre-patriarcales. Por cierto, anoche me di cuenta de que Short Guide… de Jeleton y Brujería y contracultura gay comparten algo: las superficies de ambos referencian un metal planetario; la portada de Brujería es de color cobre, la de Jeleton dorada. De alquimia no sé mucho, Gelen y Jesús un montón. En cambio, sobre superficies sí que he pensado bastante este año. ¿Qué podemos entender por prácticas superficiales? Me hago esta pregunta como resultado del malestar que me generan las palabras que habitualmente utilizamos para hablar de investigación: profundizar, penetrar, excavar, ahondar. Son palabras que arrastran siglos de violencia y de opresión. La superficie es también el paraguas del que cuelgan algunos temas que me interesan: lo animal, el tacto, el jardín. Por ejemplo, el hombre occidental ha pensado a los animales y las plantas como cuerpos superficiales, carentes de interioridad respecto al humano, que tiene un alma. Para los colonizadores, los cuerpos racializados tampoco tenían interior. La división profundo-superficial es el argumento central sobre el cual, históricamente, unas vidas han oprimido a otras. Cuando el otro día un tío hetero me decía que no fuera superficial, ¿qué me estaba diciendo? Madrepaz y Brujería vehiculan una relación diferente con las superficies. Por ejemplo, en las prácticas de sanación antiguas, las superficies eran importantes. Para el pueblo indígena Bribri las superficies de los objetos chamánicos eran una parte fundamental de su valor simbólico, la sanación comenzaba en el plano de la superficie. Esto lo aprendí este verano en Costa Rica visitando las colecciones estatales de oro precolombino, que fueron construidas también sobre la violencia. GAS: Esto me recuerda el contacto, que te toquen, querer tocar a alguien, y lo difícil que puede ser a veces. El tocar también para curar, para sanar; hace poco vi la película de Selena (1997) y la de Gilda, no me arrepiento de este amor (2016), las dos cumbieras a las que se veneró como santas. En la película de Gilda hay una escena en la que una mujer que ha asistido a su concierto le pide que le toque la cabeza para curarla, ya que según ella, curó a su hija con su música. Estas prácticas del contacto se han asociado a lo popular, lo vulgar, lo gentil; y cuando son milagro, eso viene de Roma, lo decide el Papa. Y además no se pregunta, como por otra parte a los médicos y farmacéuticos de bata blanca (“no preguntes tanto” me decía mi madre cuando la acompañé al médico la última vez). Pareciera que todo pasa por la institución-estado necesaria para la supervivencia. Aimar ha nombrado el libro Brujería, y pienso que no es casual que lo llevara en el bolso durante el Feministaldia y que le enseñara el dibujo de Jeleton del “Finocchio” a Federici , extraído de su libro cuando cita a Evans. Y que se lo enseñara a Juan antes de entrar a la charla. Y que me lo pasara Jesús después de que yo le diera el de Sociología de la imagen (2015) de Silvia Rivera Cusicanqui (que aprovecho para citar aquí a modo de invocación, deseando que estuviera en esa mesa y esperando que lo esté para el año que viene). Ni casual que ahora tenga conmigo también el libro de Jeleton sobre una práctica difícil, los dos libros para fotografiar sin flash porque tienen brillos. “Hay que leer más a Marx” es lo que me comentó un amigo después de la charla de Federici y Amaia Pérez Orozco. “Yo lo he leído”, le dije. “¡¿Cómo, los 3 tomos? !”, me dijo. Bien no he leído enteros ni a Federici, ni a Marx pero sí los he dibujado, sólo me falta Amaia. Hay muchas maneras de decir y de silenciar, desprestigiando las formas de leer o escribir; incluso el no querer decir es menester decir, dice Sor Juana Inés de la Cruz, quien por cierto es un personaje maravilloso que perfectamente podría estar junto al capítulo de Juana de Arco en Brujería de Evans. Pensemos lo que queremos contar. ¿Acaso queremos repetir las grandes historias de los grandes libros con sus palabras? La repetición mitopoiesis o mejor autohistoria como dice Gloria Anzaldúa, o la bio-mitografía según Audre Lorde son estrategias de resistencia. 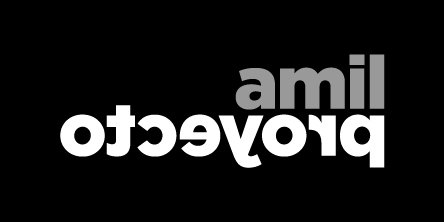 Enunciemos conjuros que no borren memorias, que no hablen de un solo saber y que en su desorden se escriban en diferentes lenguajes una y otra vez. Para volver a la problemática de malos momentos que vivimos, estos sortilegios se presentan como una suerte de encarnación de la teoría para decidir qué necesitamos escuchar. JAM: Hoy es el día de los Reyes Magos. Han aparecido en un nicho sin nombre en un cementerio de Barcelona los restos de Idrissa Diallo, que murió en un CIE (Centro de Internamiento de Extranjeros) la noche de Reyes de 2012. Nota de cierre: esta conversación se generó por escrito en un documento colaborativo de Piratepad y se acabó de editar en un archivo de texto ODT entre diciembre de 2016 y enero de 2017, desde Barcelona, Londres, Markina y Murcia. en Tabakalera – Centro Internacional de Cultura Contemporánea, Donostia-San Sebastián. Al cierre de esta edición está previsto que la exposición viaje a Madrid de mayo a octubre de 2017.
y lo irracional en relación con la naturaleza en la era del Antropoceno” y se concreta en una exposición colectiva en la que participará Jeleton (otoño 2017). Rumpite libros (2007) fue un proyecto de Jeleton que consistió en deshacerse de sus libros. El título hace referencia a la frase ‘Rumpite libros, ne corda vestra rumpantur’ (Romped los libros, no sea que rompan vuestro corazón). Aimar Arriola conoció el trabajo de Jeleton con este proyecto. trabajo de Federici y Evans. En Calibán y la bruja Federici menciona cómo en la quema de brujas y homosexuales, maricones, putos, jotos, el hinojo se utilizaba como planta aromática para tapar el hedor de la carne ardiente (p. 271).